At the Australia Day Gala on Saturday January 19th, 2019 the AACC awarded the 2019 Ambassador Bill Lane "Spirit of Australia" Award and three Australia Innovation Awards. The Innovation Awards were presented to an Australian and American company, and to an Individual who has shown a commitment to Australian Innovation. All are considered to have exemplified innovation and advanced the environment and culture for innovation in Australia. Established in Australia in 1980, Vionic’s mission began with the work of renowned podiatrist Phillip Vasyli. A pioneer and innovator in the field of lower-limb biomechanics, Vasyli treated thousands of patients, ranging from young children to amateur and professional athletes. He had a genuine passion for making orthotic treatment more affordable and accessible to people in need of pain relief & realized that the only treatment options for many common foot-related ailments, like plantar fasciitis or over-pronation, were costly and time-consuming. In response to the overwhelming demand for a solution, he invented one of the first heat-moldable orthotics, a low-cost option that allowed patients to walk out of his practice feeling better than when they'd come in. This philosophy laid the groundwork for the award-winning Orthaheel orthotic, the world's first and only true orthotic available without a doctor's prescription. 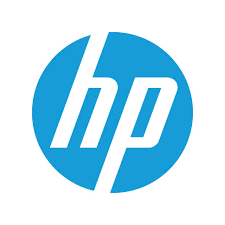 In 2007, the US headquarters was established in San Rafael and continued expansion to the UK in 2013 and Hong Kong & China in 2017. Vionic was chosen as one of Oprah’s Favourite Things in 2017 and again in 2018. She works at the intersection of design, people, and technology to shape an equitable future of work. She approaches this from every angle - as a designer, a technologist, a learning scientist, a researcher, a workforce strategist, and an educator; and she brings experts and thought leaders from each of these worlds together. She Is currently working as a Lecturer at the Stanford Graduate School of Engineering in the Hasso Plattner Institute of Design (d.school) . The d.school is Stanford’s hub for experimenters and explorers where it helps students develop their creative abilities. It’s a place, a community, and a mindset. It was the ﬁrst design school of its kind. She designs classes and teaches students the knowledge, skills, and abilities that lay foundations for innovation. Some of the classes she has helped to design or teach include; Creativity and Innovation, Unlocking Innovation in Prison, Design for Oceans and Portfolios are for Everyone. Creating Forums - at the heart of driving a sense of agency over the ever changing nature of the future of work, is curating learning forums for people to come to together in unique and different ways. One example of this was the Shaping the Workforce of the Future series at the Stanford d.school that brought together academics, organizational learning experts, start ups, HR managers, workforce development nonproﬁts, philanthropic funders and more to start radically collaborating around this problem. Would Bank Solutions For Youth Employment - Skills Gap of Signaling Gap? While Brisbane has remained the focus for Tiny’s research and development, there are now offices in Palo Alto, California, and Umea, Sweden. It has more than 50 staff worldwide, with over half of them in Brisbane. Since its inception, Tiny has invested more than $25M in innovation in Australia which has been focused on building a category-leading rich text editing platform In October, Tiny announced it raised venture capital from Silicon Valley firm BlueRun Ventures to expand its platform. In the next three years, Tiny intends to invest more than $10M in R&D in Australia. This investment will expand its lead in rich text editing, build augmented writing and collaboration extensions to its existing platform, and broaden the Tiny platform across the full content publishing lifecycle. Nextdoor is a free, private social online network that connects communities and neighborhoods where neighbors can get to know one another, ask questions, and exchange advice and recommendations. In addition to this social connectivity, Nextdoor provides an enormously helpful communication channel for first responders to communicate swiftly to a community when there is danger. In the US, over 186,000 communities are already connected on this platform. Australians can now benefit from this service too as Nextdoor has recently announced their launch in Australia and will be based out of Sydney. Australia is Nextdoor’s 7th launch market and is a pivotal part of their global expansion, particularly as a gateway to the Asia region. Their vision is to create stronger, safer and healthier communities across Australia, all based on staying local. Early indicators suggest that Australians have shown a strong interest with over 350 new neighborhoods being created within the first weeks of launch. The Australia Day Gala is an annual event presented by the Australian American Chamber of Commerce in partnership with G’day USA. This uniquely Australian event is attended by San Francisco’s leading business and tech executives and provides an opportunity for networking while enjoying the best of Australian entertainment, food, and wine. 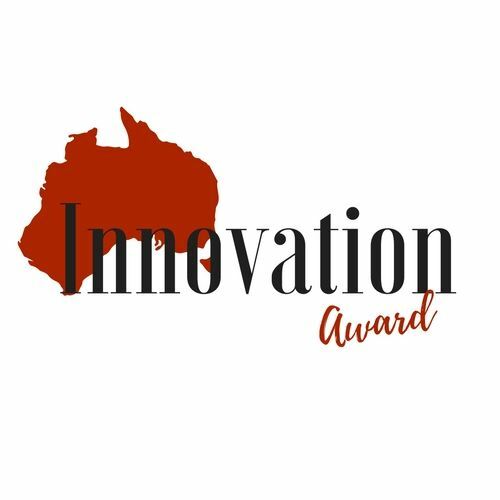 In 2019, three Innovation Awards will be presented to an Australian and American company, and to an Individual who has shown a commitment to Australian Innovation. All will be considered to have exemplified innovation and advanced the environment and culture for innovation in Australia. These awards will be presented at the gala alongside the Ambassador Bill Lane “Spirit of Australia” Award. Each applicant must clearly address the above criterion in no more than 1000 words. Entrants can attach photos, demos or prototypes with their entry. Entries can be self-nominated or nominated by a third party. Applicants are required to have a physical presence in the Bay Area. Applications are to be submitted to the Australian American Chamber of Commerce via dawn@sfaussies.com for preliminary assessment by 5pm EST December 10th, 2018. The top 5 applications for each category will be submitted for final assessment to a panel of innovation experts. Two tickets to the Australia Day Ball will be provided to the top 2 applications in each category. There will also be an opportunity for all applications to purchase of tickets. Please don’t hesitate to contact Dawn Lillington, Executive Director of the Australian American Chamber of Commerce , via +1 415 485 6718 or dawn@sfaussies.com should you have any further questions. Dr. Elizabeth Blaber is a Visiting Research Scientist at the Universities Space Research Association (USRA) and NASA Ames Research Center (ARC) in Moffett Field, California. Dr. Blaber represents the best of our young generation of scientists who has and will continue to make significant and innovative contributions to the advancement of space biology. Bugcrowd was founded in 2012 in Australia by Casey Ellis with the goal of connecting two groups who desperately need each other but have historically been terrible at getting along: hackers and organizations. Given the company’s rapid growth and the adoption of the model across verticals, it’s clear that Casey’s vision of using the collective force of tens of thousands of trusted researchers on an industry-leading platform to address vulnerabilities has had a proven impact. Australian Government, businesses and critical infrastructure organisations are desperately battling to protect the Australian people from cyber criminals and the growing risks associated with our digital world. With more than 17 years at the forefront of cybersecurity internationally, and a strong investment in fostering local talent, Dtex Systems is uniquely positioned to help Australia both grow as a global cyber security leader and defend against the insider threat. A professional engineer with over a decade of experience in developing clean energy technologies, Andrew is currently spearheading the Business Development and Product Strategy at Geli (Growing Energy Labs Inc). In 2002, he was one of the founding team members of one of Australia’s biggest success in solar, Ausra, which they started in a garage in Sydney. As Project Engineer for the company, he based his working life in Singleton for four years to build Australia’s largest solar installation at the time (2005). This effort ultimately led to the largest Series A investment for a cleantech company in Silicon Valley ($50M) and eventual acquisition by AREVA for $300M. Nuheara was founded by two repeat Aussie entrepreneurs, David Cannington and Justin Miller, who have a background in commercializing Australia developed hearing and audio technology and taking it to the global market. Nuheara is their second hearing/audio technology company. Nuheara is an excellent example of an Aussie technology startup that leverages a partnership with a leading Australian research organization (Curtin University) to develop and commercialize cutting edge technologies and to solve real problems in the global market. From offices in Perth and San Francisco, the team has taken an idea for a truly wireless, intelligent earbud to product in market in just two short years.